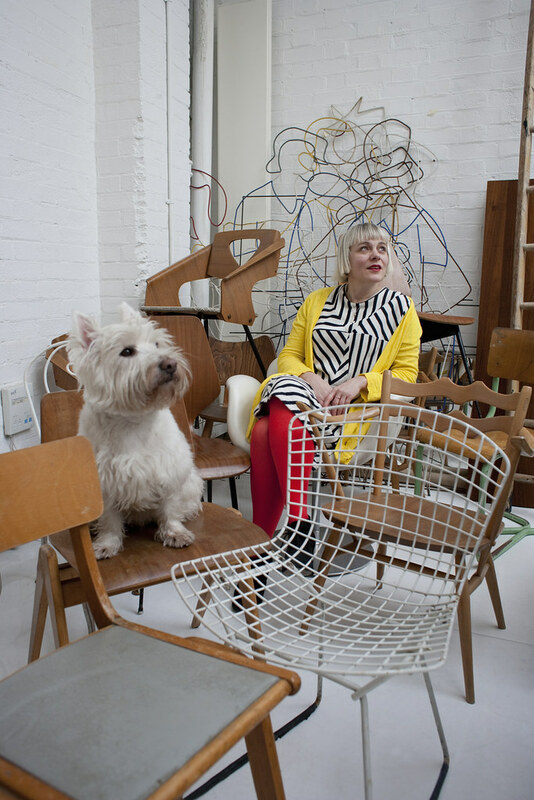 The latest issue of Eye profiles Morag Myerscough in the feature ‘In the thick of it’. Myerscough is a designer who puts an eclectic graphic sensibility into public spaces, injecting colour, pattern and big type into schools, health centres and other installations. ‘I like interpreting spaces really, putting narrative into spaces that don’t exist’, she told us. ‘I like stories and things. And I don’t just like making pictures... or people just looking at things’. Now, in an Eye interview with Myerscough (and her West Highland terrier Lemmy), filmed by Maria Spann, she shares her thoughts on work, ‘clients’ (she prefers to call them ‘people’), living ‘over the shop’, and the life / work / dog balance. 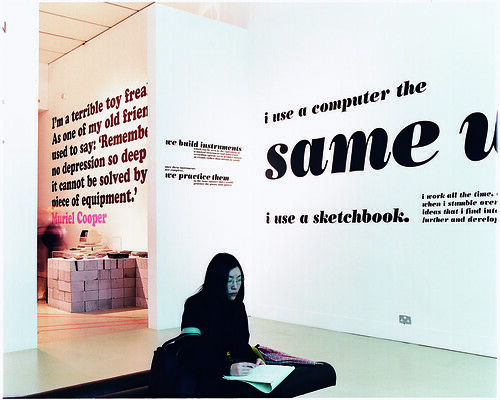 Above: ‘Webwizards’ exhibition, Design Museum (2002). Exhibition design: Morag Myerscough / Studio Myerscough. 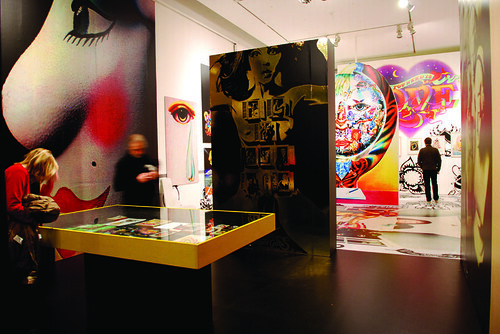 Below: ‘Alan Aldridge, The Man With Kaleidoscope Eyes’, Design Museum, London (2008). Exhibition design: Morag Myerscough / Studio Myerscough.